New York City Football Club has announced the transfer of Ismael Tajouri from Austria Wien. 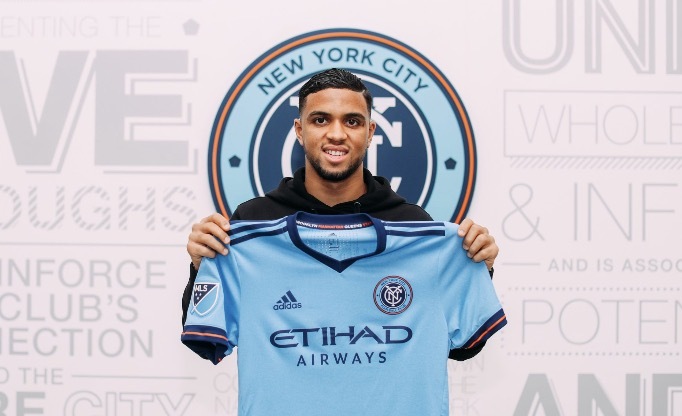 The 23-year old attacking midfielder arrives as NYCFC’s sixth offseason addition and will join the Club on preseason in Jacksonville later this month, subject to receipt of his P1 Visa and ITC. 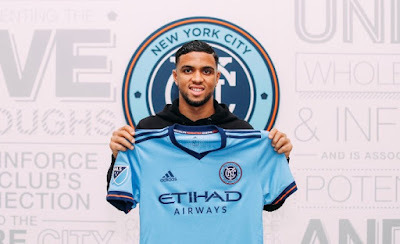 Tajouri told NYCFC.com: “It’s a dream come true to play for a big club like NYCFC – I’m looking forward to putting in good years with the club, playing good football and making the fans happy. “When it was done and I realized Patrick Vieira was going to be my new coach, I was so happy – he’s such a big personality in the game, he’s won everything and it’s a dream to now say that I will play under him. A versatile forward-thinking player equally adept at playing on the right side or in behind the striker, Tajouri brings a wealth of experience to NYCFC, despite his modest years. After graduating through the youth ranks at Austria Wien in 2013, Ismael went on loan to Austrian second tier outfit Rheindorf Altach and helped them achieve promotion to the Bundesliga. Impressing his parent club during a two and a half year spell at Altach, Ismael returned to Vienna and became a regular starter for the 24-time Austrian champions in 2016/17, making 36 appearances and scoring ten goals in his breakthrough season. NYCFC Head Coach Patrick Vieira believes that Ismael’s arrival signals another exciting moment in NYCFC’s offseason. Vieira said in a statement, “We wanted to add more power, pace and skill in one-v-ones to our frontline and Ismael really fulfills this criteria – he is a very talented player who will compete for minutes. “He’s got good experience for his young age which he can bring to this team and I’m really looking forward to working with him. Of course, there are areas of his game he needs to work on but I strongly believe that we have a solid structure around us to help all of our young talented players improve. Tajouri took his first steps on the continental stage in 2016/17, appearing in the first of two UEFA Europa League campaigns he’s enjoyed to date, which have seen him take on the likes of AEK Athens, Milan and A.S. Roma. In total, Tajouri has played 96 top division matches across four seasons in Austria and has played 19 times in the Europa League. NYCFC Sporting Director Claudio Reyna added, “Ismael is the type of player who will fit into NYCFC with his attacking qualities. He can play wide right or behind the strikers, he scores goals, he’s very clever and creative around the goal, he can take players on in one-v-ones and unbalance defenders when running with the ball.